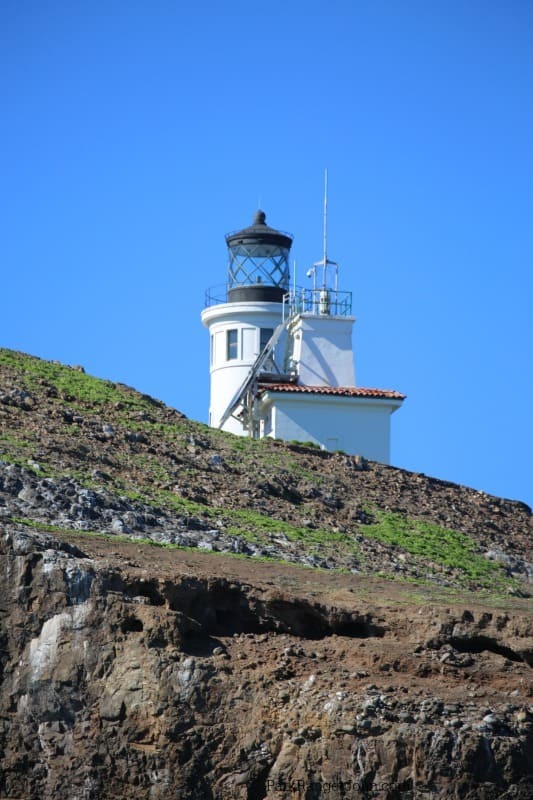 Channel Islands National Park Guide!! What you need to know to plan an epic adventure to Channel Islands National Park in California! Channel Islands National Park lies 11 miles out to sea from Ventura, California. We visited Channel Islands National Park and loved it. Though we did have some weather issues actually getting to the park but more on that in a bit. Today we are sharing our Channel Islands National Park Travel Tips to help you get the most out of your trip to the islands. Our first tip is to give yourself more than one day to visit the park. We flew into LAX with plans to visit the park for three days with different boat trips. 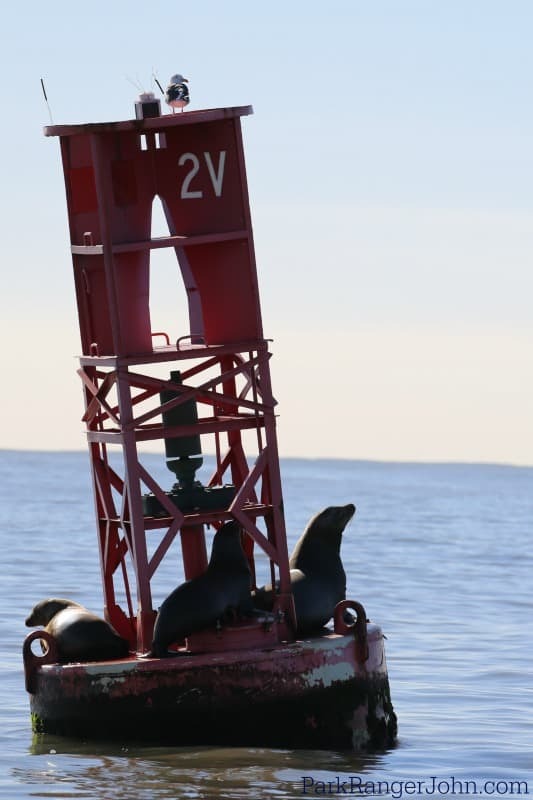 Well, mother nature had a very different plan for us, and out of the three days we were near the park we managed to go on one wildlife cruise around Anacapa Island. The other days we were in the Los Angeles area our boat tours were canceled due to weather and small craft warnings. Watch live webcams around the park and see what is happening both above and below the water. The feeds are shown on the Channel Islands National Park Website. Day trips are available to all of the islands within the park except San Miguel. Visit the Channel Islands National Park website to see the current list of upcoming events/lectures/and videos of past lectures. Santa Barbara Island Dock Closed; Landings Restricted to Adjacent Rocky Ledge – Santa Barbara Island is open to public access, but landings are restricted to the rocky ledge adjacent to the dock. The dock is closed and is not expected to be repaired in the near future due to the severe winter storm damage. 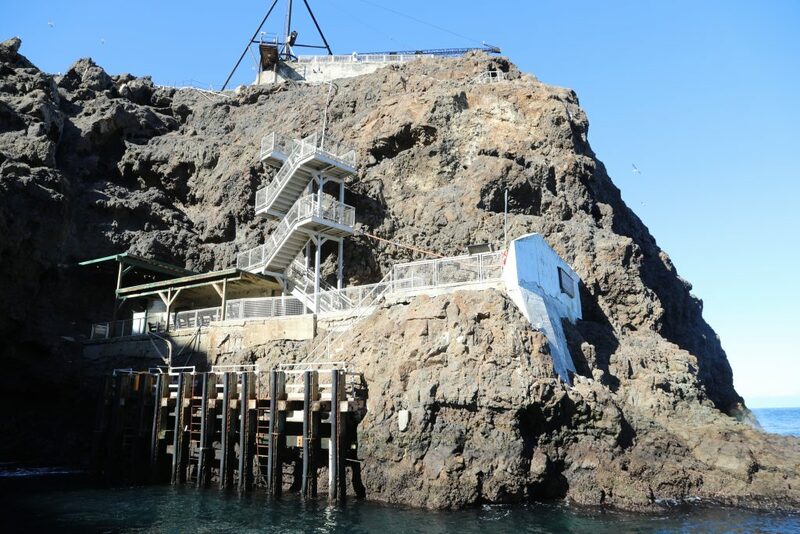 If you plan on hiking around Anacapa Island you need to be prepared for the stairs leading up to the island. Once on the island, you will be able to explore the figure-eight-shaped trail system that meanders around the island. There is no running water on the island so make sure you pack enough water for your trip along with snacks/food. How do I get to Channel Islands National Park? Channel Islands National Park is accessible via boat and plane. Island Packers offers half day and full day excursions to the Channel Islands along with Whale Watching, Camper transportation, and harbor cruises. 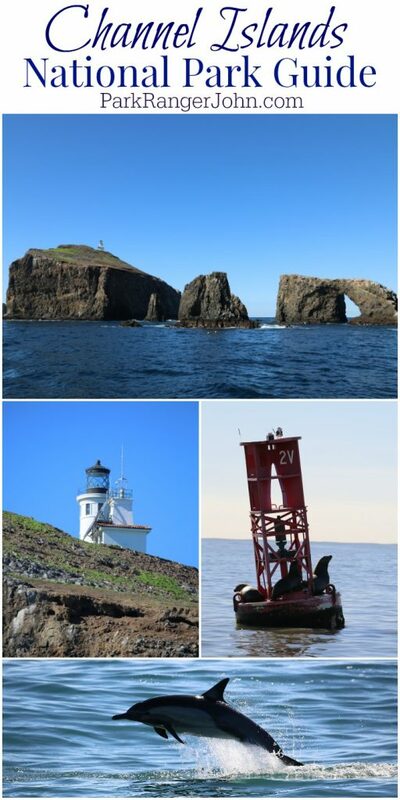 We took an Island Wildlife tour around Anacapa Island and it was amazing. 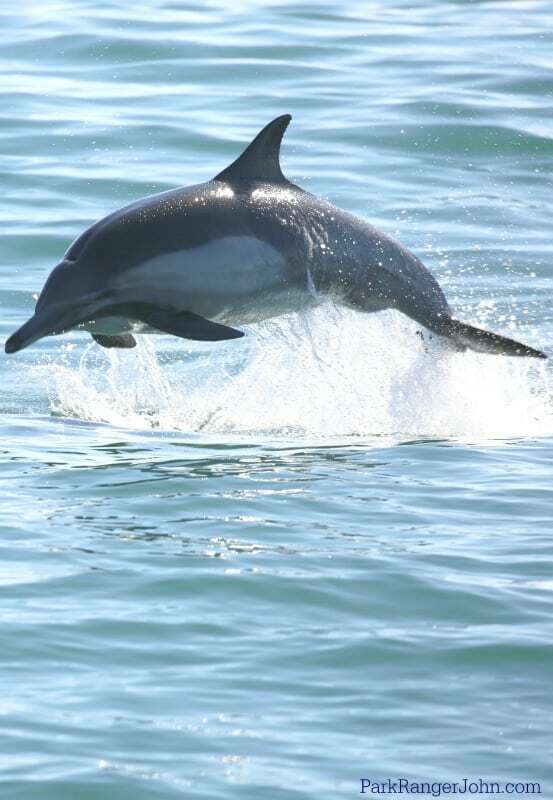 Our boat was surrounded by hundreds of Common Dolphins along with seeing a gray whale and her calf. 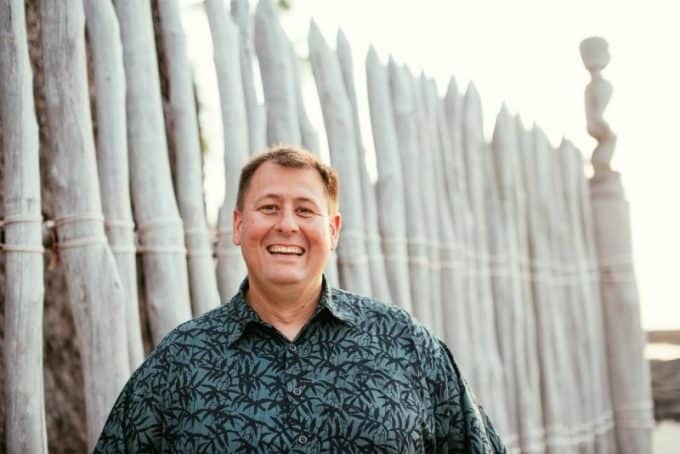 Reservations are highly suggested for Island Packers! Reservations can be made online or by calling 805-642-1393. 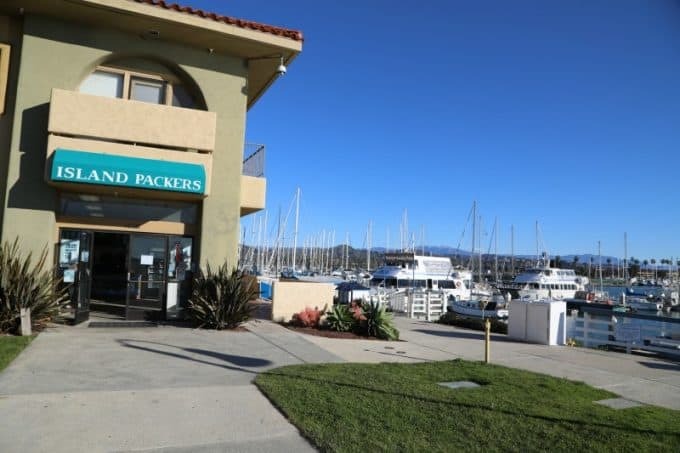 Make sure and confirm if your tour is leaving from Ventura Harbor or Oxnard Harbor! Channel Islands Aviation offers flights to Santa Rosa Island. They are the official Concessionaire for the park and have been since the early 1990’s. They operate Britten-Normal Islanders, Twin engine airplanes specifically designed for remote island flying. They offer half and deluxe day trips. Private flights can hold up to 8 people. They also offer Camping charters to help you get to the island with your gear. Visit the Channel Islands National Park Website for up to date information on camping. Primitive camping is available year-round on all five islands in Channel Islands National Park in National Park Service-managed campgrounds. There is currently one established campground on each island: above the Landing Cove on Santa Barbara, on the east islet of Anacapa, at Scorpion Ranch on Santa Cruz, at Water Canyon on Santa Rosa, and above Cuyler Harbor on San Miguel. No camping is allowed on The Nature Conservancy’s western 76 percent of Santa Cruz Island. Limited backcountry camping is available on Santa Cruz and Santa Rosa Islands. Please visit Camping for more information. No fires are permitted. Use only enclosed, gas camp stoves. Campers are required to store all food and trash in animal- and bird-proof containers. National Park Service food storage boxes are provided at campsites, but coolers, plastic Rubbermaid-type boxes or other types of containers with sealing lids may be used as well. At the Scorpion Ranch campground on Santa Cruz Island, foxes and ravens are capable of opening zippers. To further secure your food and trash, safety pins, twist ties, paper clips, and small carabiners are suggested to help keep zippers closed. Where are the Channel Islands Visitor Centers? This visitor center includes a small store, a display of marine aquatic life, and exhibits featuring the unique character of each park island. Visitors also will enjoy the 25-minute park movie, “A Treasure in the Sea,” shown throughout the day in the auditorium. The fully accessible visitor center is open 8:30 am until 5 pm daily. The visitor center is closed on Thanksgiving and December 25th. Weekends and holidays at 11 am and 3 pm rangers offer a variety of free public programs about the resources of the park. Click here for programs and events scheduled at the visitor center. 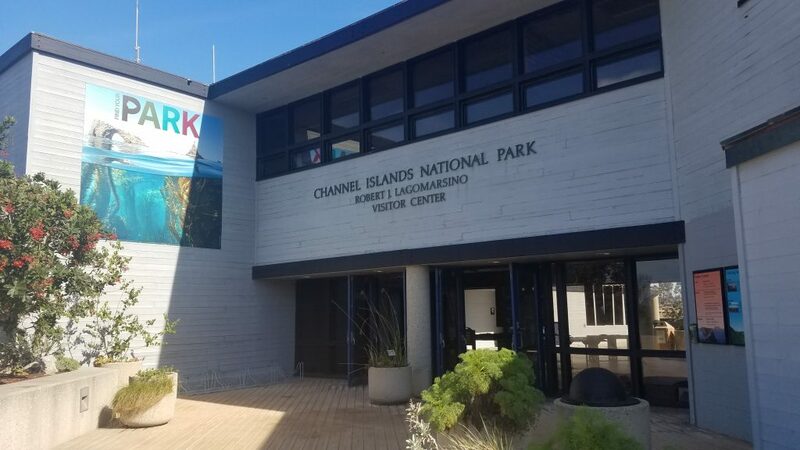 This visitor center offers visitors information about Channel Islands National Park, Channel Islands National Marine Sanctuary, Santa Barbara Maritime Museum, and the City of Santa Barbara. Open 10 am until 5 pm. Closed every Wednesday, Christmas Day, New Year’s Day, Thanksgiving Day, and the First Friday in August for Fiesta. 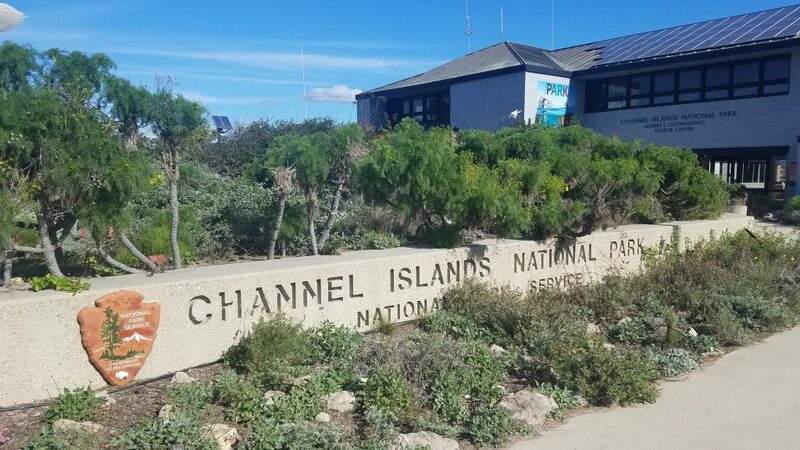 What does it cost to visit Channel Islands National Park? There is no entrance fee to visit the Channel Islands National Park. Channel Islands National Marine Sanctuary encompasses the area within six nautical miles of the islands. Every year over 100,000 seals and sea lions breed and haul out on San Miguel Island. The Channel Islands provide essential nesting and feeding grounds for 99% of seabirds in Southern California. Check out these other great California National Parks!